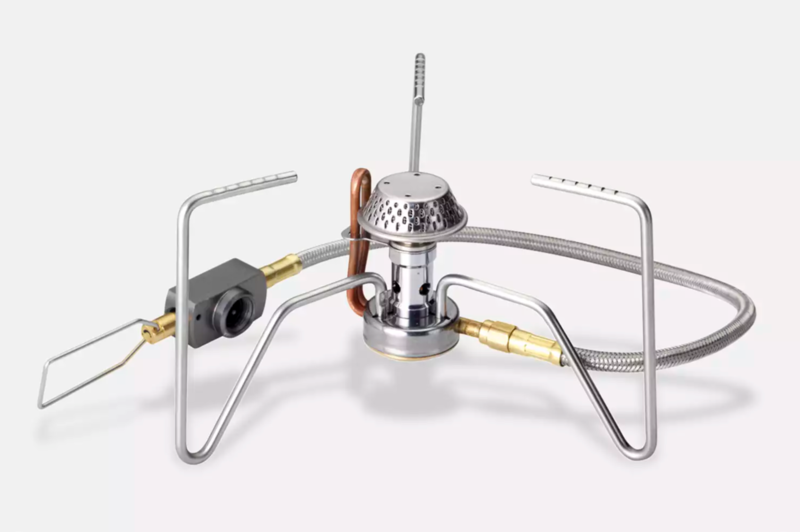 Looking for possibly the smallest and lightest whistle on the market? Well, check out the Titanium Whistle by 4Sevens. It is an investment at $20, but the return is a 100 decibel pea-less whistle about the size of a few wooden matches. It weighs .2 oz, or 5.6 grams. As far as I know, this is the most elite of whistles for lightweight backpackers – small, loud and light, and let’s not forget it will meet the demands of those with a titanium fetish. In the picture, the Fox whistle is what I've carried after evaluation of approximately 8 other options. One thing I'll miss with the switch is where to put my button compass. With a whistle this size, there is no reason anyone shouldn't carry it just for the sake of safety. 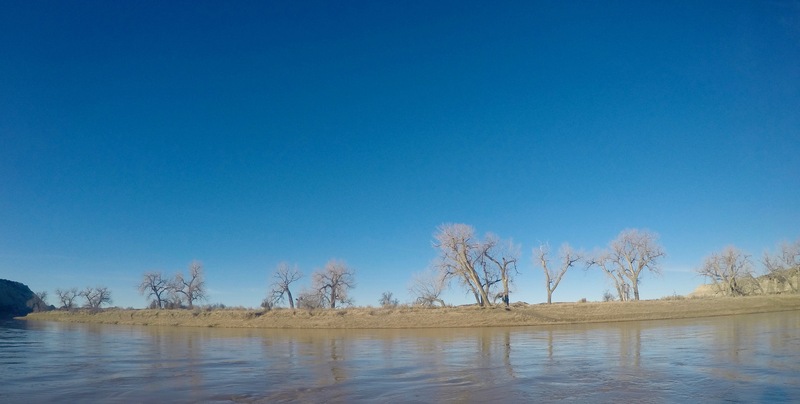 I’ve been looking at getting out a bit more in the summer months and decided to look for a dedicated breathable trail shoe. 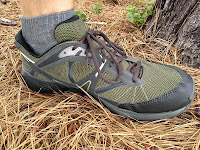 In 2009, I mentioned that I primarily wear Asics Gore-Tex Trail Runners because hiking in the fall, winter and spring, and not hiking for months at a time, has always allowed me to dodge the breathability issue a bit while offering my wimpy feet some protection against external wetness which I always seemed to encounter. But in summer, that’s too much to ask of Gore-Tex. 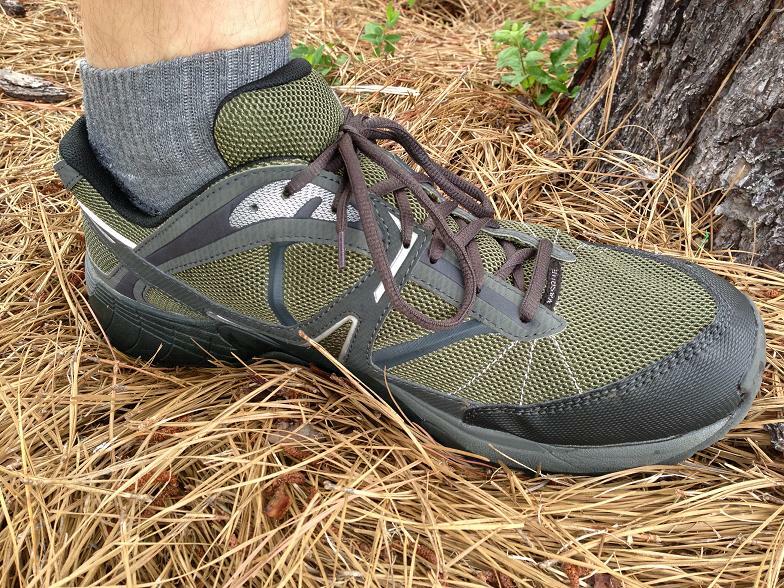 For the last several weeks I’ve been wearing the Vasque Mindbender Trail Running Shoe. There are several things I like about this shoe. First, it feels like it has a lower profile. The tread is decent and they are quite comfortable especially after I added some orthotics due to a plaguing case of Plantar Fasciitis which I can’t seem to shake (suggestions welcomed). It has a generous toe box which is an absolute necessity. Color and design are appealing too. The mid and out sole are a dual-density EV which is fairly firm and quite light. The upper is nylon mesh and synthetic leather, again, lightweight and breathable. I’ve intentionally wetted them out and they dried fairly admirably. What really got my attention was their breathability. I own lots of running shoes which I primarily use around town and at the gym. The difference with the Vasque Mindbender Trail Running Shoe and my other shoes is that I can actually (and quite easily) feel any wind or change in temperature through the shoe. While they look no different than my other shoes and I can’t see my foot or sock through the mesh, I’m amazed at how obviously breathable they have been. 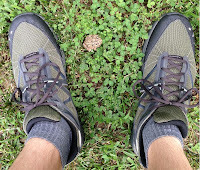 For now, these are my new summer backpacking shoes, but in fairness to the review, there are a couple of things I don’t like. The heel cup is a little looser than I’d like. Out-of-the box the stitching had several threads (one nearly 5”) still attached which tells me Vasque is doing a poor job with quality control. 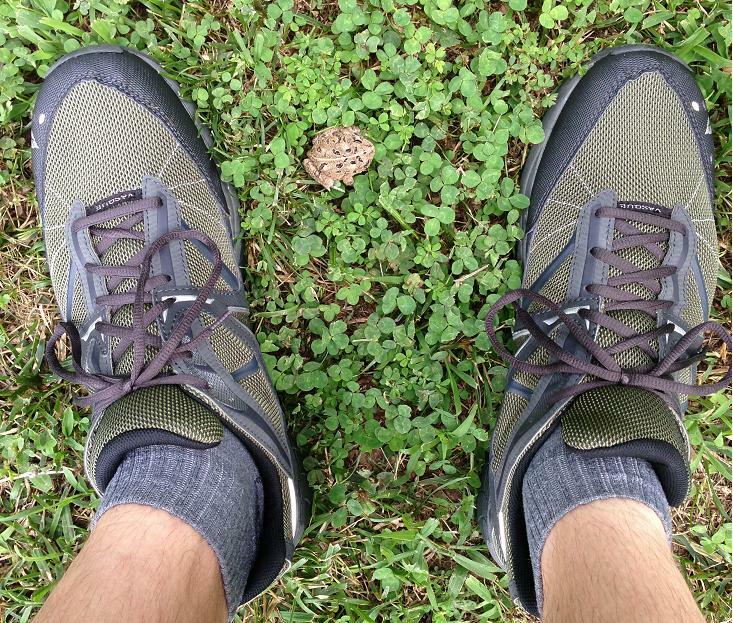 I wish Vasque implemented a tongue with a small pouch to stuff the bow part of the laces like my Asics as it is a great benefit to be able to hide the broad part of the laces which commonly get caught on twigs and welcome briars, ticks, thorns and everything else unwanted.